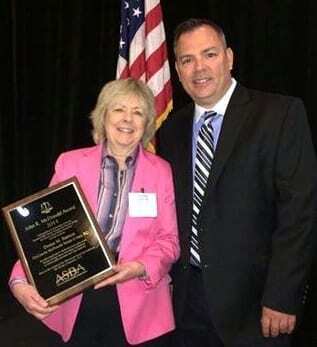 Attorney Denise Bainton of the DeConcini McDonald Yetwin & Lacy Law Office, located in Tucson, was given the John R. McDonald award for outstanding contributions to Arizona public education. 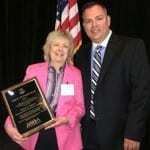 This award was developed to honor prominent Tucson Attorney John R. McDonald who passed away in 2012. McDonald was once president of the Arizona School Boards Association and left a legacy of dedication to improving education. Those honored with this award have reflected the spirit of John R. McDonald.